Lunchbox Dad: Disney On Ice: "Rockin' Ever After" is here in the San Francisco Bay Area! 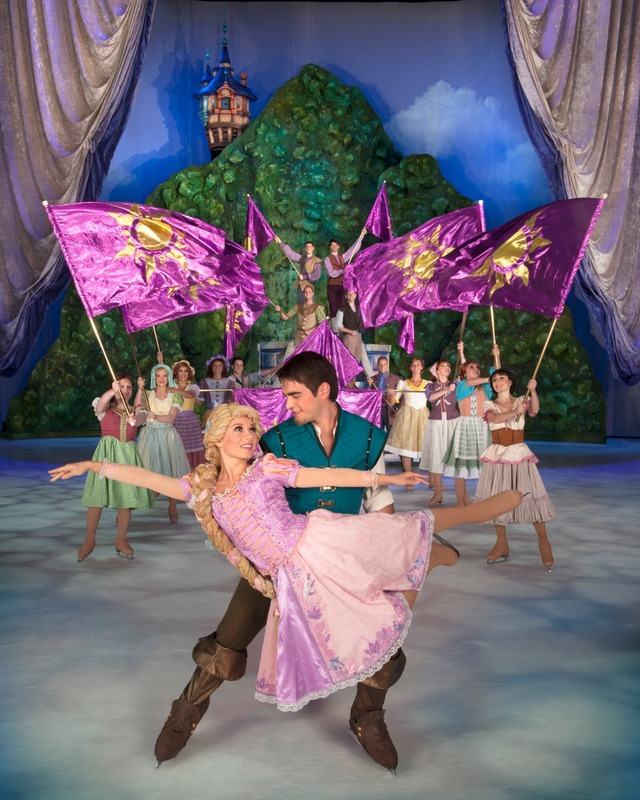 Disney On Ice: "Rockin' Ever After" is here in the San Francisco Bay Area! I couldn't be more excited right now! If you have seen many of my lunches you know our family are big fans of Disney. My wife and I have always wanted to take our kids to see a Disney On Ice show and we finally have the opportunity to go this Friday. The Rockin' Ever After Tour is coming to the San Francisco Bay Area and I have heard that it is amazing. We get to take our kids to the SAP Center in San Jose to catch it the first weekend that it is here. Just don't tell my kids, because we will be surprising them with this special family experience on Friday morning! They are going to go bananas. The best part is that one of our favorite family movies, Tangled, is part of the show. We also get to see performances from the movies Brave, The Little Mermaid, and Beauty and the Beast. The music and skating is supposed to be first rate. Rockin' Ever After features skaters who have won national championships and knowing Disney my kids will be dancing and singing along to the music just like they do in our living room. I will let you know all about it when I post my review of the show next week. I don't know what will be more fun, revealing the surprise to my kids in the morning or watching their faces during the show. Not only have they never seen Disney On Ice, but they have never seen ice skating in person either. I remember taking them to Disneyland last year and seeing the wonder on their faces. There is nothing quite like it as a parent and I know this show will produce some of the same magic! If you want to know a little more about the fun before you go, you can watch the video below or read more about the action from Feld Entertainment: "Jam to a Scottish jig as a group of royal contenders from the Academy Award-winning Disney•Pixar film, BRAVE, competes to win the heart of adventurous, sharp-shooting Merida, making her on-ice debut! Experience a show-stopping performance as Sebastian breaks out of his shell for one night only to make waves with Ariel. A chorus of harmless hooligans from Tangled unleashes musical mayhem when they get a visit from the sassy and spirited Rapunzel and her charming ally Flynn. And, get your feet moving as the Beast and his castle’s enchanted entourage take center stage in a spectacular show for Belle. 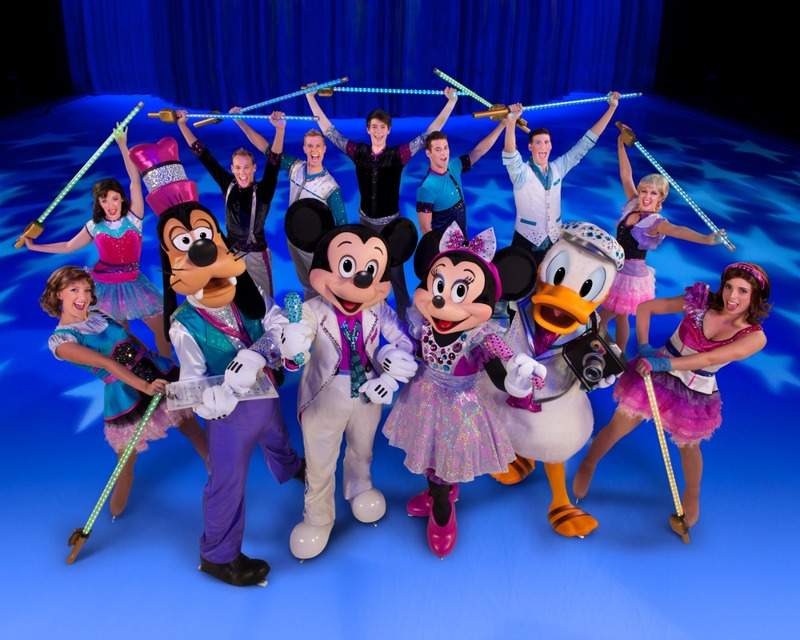 It will be a rockin’ remix of royalty when Disney On Ice brings this superstar line-up to the Bay Area!" This tour is going all over the nation but if you are here in the Bay Area like me, you can catch it at the SAP Center in San Jose from Feb.19-23 and at ORACLE Arena in Oakland from Feb. 26-March 2. Tickets are available online through Ticketmaster.com. Disclosure: Feld Entertainment gave me tickets to review the show. I have received no other compensation for this post and the opinions I’m expressing here are solely my own.